Japanese singer Yuji Mori, the all-girl Japanese rock band, Prizmm, drum group from Otawara, calligraphy artist Sakamoto Koichi, art troupes and performers from Mitsuke, Nagasaki, Sakai will all take part in the annual Vietnam-Japan Culture Exchange at central Da Nang city's Administrative Centre Park on August 28-30. 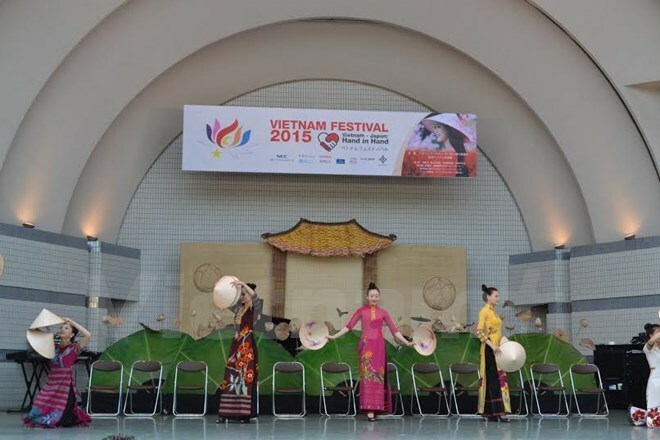 Vice Director of the city's Foreign Affairs Department Mai Dang Hieu said the event aims to boost the relationship between Japanese cities and Da Nang as well as Vietnam-Japan friendship. Art troupe from Sakai city will debut at the event with tea ceremony demonstration with cuisine pavilions and street dance performances on August 28. The opening ceremony will see performance by Otawara artists along with demonstrations of Aikido, Sumo, Japanese sword, Sumo and traditional wrestling. Tourists will also be able to avail of a chance to taste Japanese cuisines at the event, including Udon, Chanpon, Ramen, fresh fish, Kasutera, and Wagyu (Beef) from Nagasaki. Participants can even try on kimono, yukata, Cosplay, and paper folding Kirigami, Origami. According to the organisers, the first Japanese Sword Championship will be also organised with the participation of Vietnamese players on August 29.